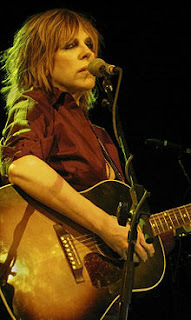 Without a new album to promote on this tour, Lucinda Williams had a relatively free hand to liberally reflect upon her thirty five year recording career. On the back of an all request show at the recent Gateshead date, there were plenty of track suggestions from a Birmingham Town Hall crowd awash with adulation. Although, no doubt, a few personal favourites were omitted, the set list Lucinda decided upon could hardly be faulted and met the approval of both stalwart fans and more casual observers. By drawing on material from seven of her albums along with a pair of quality covers and new songs, Lucinda served up her brand of roots music laced with a vocal style that aches through the multi genre heartland of a nation defined by its sounds. Whether offering an outstanding country duet with sidekick Doug Pettibone in ‘Jailhouse Tears’ or capturing the depression era vibes via Skip James ‘Hard Time Killing Floor Blues’, you had your music senses continually stretched. Throw into the mix the urban grit of Springsteen’s ‘Factory’ and the good honest rock n’ roll of ‘Honey Bee’ then the aurora from a lifetime spent searching for the musical soul of a land couldn’t fail to engulf the minds of those present. Perpetually switching between acoustic and electric guitar, Lucinda seemed more at home with the amplified version which interacted well with Pettibone’s lead and pedal steel. With no need for percussion, the trio was completed by David Sutton on bass and together they spoiled the audience right from the opening strains of the Mary Chapin Carpenter cut ‘Passionate Kisses’ to the Grammy winning closer ‘Get Right with God’. From a personal point of view, this collaboration connected more than the conventional rock set up that supported Lucinda on a previous Midlands date a few years back. The between song banter was succinct enough to get a flavour of each track and though an essence of warmth will always struggle to emanate from the stage, the passion, honesty and confidence reflects a songwriter who can comfortably reside with some of the Americana music icons. 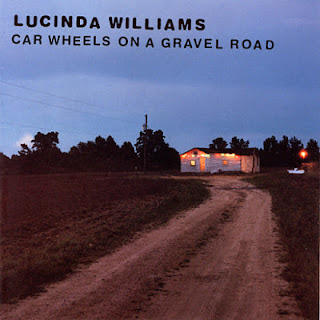 When you can call on tracks from a gold selling album as good as 1998’s CAR WHEELS ON A GRAVEL ROAD then you start off on the front foot and Lucinda did so on five occasions during the evening. While ‘Joy’ and ‘Drunken Angel’ were met with instant approval, the gig’s stand out track was the evocative ‘Lake Charles’, the Louisiana hometown of Lucinda, although much of her time has been spent in Houston, Austin, Los Angeles and Nashville. After lengthy bouts of album inactivity in the 80’s and 90’s, they seem to come on a steady regular basis now. The couple of new songs aired during the evening including ‘Everything but the Truth’ featured in the new Lone Ranger movie, indicate the creative well of Lucinda’s writing talents is far from dry. Whether any future release can match the highs of CAR WHEELS… is probably unlikely but the continued activity of Lucinda, now in her sixth decade, both recording and touring will ensure her legions of UK fans are kept satisfied. Earlier it was intimated that a previous Lucinda Williams gig had something missing. Four years from that Leamington Spa show, full redemption was now complete and an important and integral artist of contemporary US roots music now possessed her rightful place in the upper echelons of my live music experience.